What a horrible word. I will have to say this word has to be my biggest pet peeve. Three years ago my now 5 year old daughter was diagnosed with a Neurodevelopmental Disorder called Rett Syndrome. It quite suddenly robbed her of her ability to speak,use her hands and she lost almost every kill she had acquired up to that point. Why? There is a gene on your x chromosome that controls your every movement and every thought. It's the regulatory gene for all other genes in your body. This gene doesn't kick on until you start walking,talking,eating and running. When a toddler really starts to become independent. If this gene if faulty.....then everything stops working. 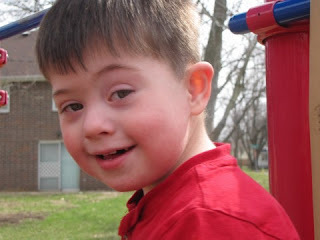 In today's world there are many many people with syndromes and disorders that limit them. That keep them from being able to function in a typical or normal capacity. All these people have friends and family all around you. There are hundreds of Neurological diseases or syndromes out there. Some genetic some by injury. Is this funny? A joke? 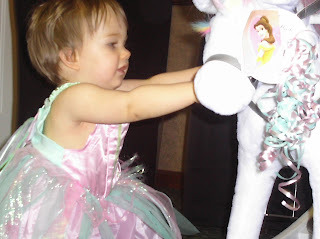 In the last year...as my daughter grows and it is more and more apparent that she is not typical I have become especially sensitive to this term. Almost every time I go to a restaurant or a store of any kind I hear this word outloud used as slang. Used as a description for stupid,ignorant,ugly,silly or something non acceptable. Over the summer my family was at an Applebees sitted next to a girl who was my daughters age. She was celebrating her birthday with her family. Little girls are hard for me. To see a typical child be able to walk and talk and sing and tell jokes makes my heart ache for what could of been. At some point during dinner she was showing off and being silly. Something I would give anything to see my daughter do. She told a joke that made no sense and her mother announced that she was retarded and everyone laughed hysterically. I was so sick I became physically ill and had to leave as I was sobbing. In the parking lot I started to hyperventilate and had a panic attack. My husband walked back into the restaurant and pulled the father aside and told him how this word and their use of it had his wife in such a state that she was a mess in the parking lot. They apologized and seemed confused as to why we would even say anything to them. Two different times at Walmart this week I have had to say something to someone. The first was in customer service when I heard that the line was retarded and walmart people are retarded. Two days later in the movie aisle I turned the corner and saw a teenager with her father looking at movies where they passes the R word back and forth 6 times describing the movies and each other. To me and to many many families like ours this is the same as using the N word,Chink,Spick or the F word in public or at all. It makes the person using it seem insensitive,moronic and completely lacking of any manners or social skills. There is a law before congress to ban this term. It's called Rosa's law. You can read the story here. There is also a very touching speech by a young man with a child who is challenged to to an illness. You can view this very moving speech below. Please educate yourself and show some empathy for others. This a pic of Abby with her private duty nurse. We love her. She is such a help to us. Abby with all the bling she got. She is such a little fashionista! This is our girl after she opened the box of hair bows our Angles got her. Now if only all kids could be made this happy over a box of hair bows!!! We dont put up a tree for safety reasons but she still loves looking at them. This was a neighbors tree. She was so excited she was squealing and biting herself. This posting is a bit overdue. Abby had her holiday party ather last year of preschool and had a ball! She was a little overwhelmed at so many people being there but she had a great time and of course her bff Madison watched out for her at all times Abby with her OT above making play doe..yikes Hey Mommy I'm making Play Doe! Abby with her Madison and some red and white guy. Who cares? Madison is here! Abby's teacher for her 1st 2 years of preschool came to visit and help out and Abby was thrilled!! I know I said I would get better about keeping up the blog. We have just been terribly busy. With the outside therapies and now that the computer is up in the bedroom I just plain forget. I will do better. Abby is doing pretty good lately. We are even bolus feeding her in the morning and afternoon and she is growing like a weed. Last year she was the same weight she was at 18 months old. 26 pounds or so. She is running an average of 36-38 and is 44 inches tall!! Woo hoo. Thank GOD for the feeding tube! We are discussing possibly getting her into hippo therapy...or horseback therapy in the spring. Her therapist really thinks she would gain alot of core strength from it. My problem is that I am scared to death of horses so I dont know how in the world I am going to put my baby on one! But I will if it will help her. Please stop by and leave a comment,. Would love to know you were here! I have been such a slacker about keeping up the blog. I will try to better. We have been super busy with life. Abby is now getting therapy outside of school 3 times a week. All before school. We finally got a bath/shower chair for Abby. She's not so sure about it but it's great on my back. Like everything else labeled adaptive equipment it took forever for us to get and is ridiculously expensive but insurance finally came through! Thanks to the hard work at our doctors office! A bigger house and a bigger bathtub would be nice but I think we may have to pocket that one. Someday! Abby dancin in her chair to her new Wiggles Video! Abby at her best friend Madisons birthday party at MCDonalds. Madison the birthday girl. This kid is the sweetest thing in the world! Rollin with her hommies.What's not cute about a girl in a pink fur pimp hat? Me and my little buddy Joseph at Step up for Downs. I love him! I will do my best at updating a little more often. Cant wait to get some new video of our girl. She is really gaining weight and looking good. She is even eating real food on occasion. We are so thrilled! 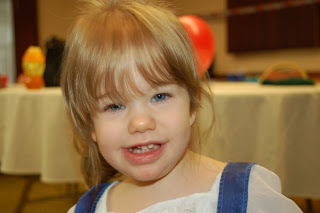 Unless you are just stumbling upon our blog you know that my 5 year daughter Abby has Rett Syndrome. A debilitating Neurodevelopmental disorder that robbed her of her almost every skill she had aquired when she was a toddler. 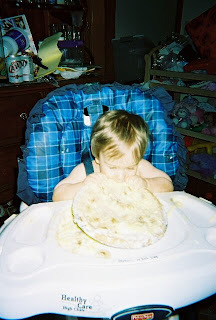 Her regression started at 18 months old and most skills were gone within a week. All speech and purposeful hand use were the first to go. Abby has many issues including anxiety,breathing problems,gerd,sleep disorders,hypotonia....I would go on and on. They call girls like Abby. "Silent Angels" because of their sweet demeanor and their inability to speak. My angel is not so silent and I dont think she knows that we have no idea what she is saying. But she knows. I'm sure. We got this video the other day when I took a break from kitchen cleaning because she was just letting the TV have it. She is such a doll. Madison helps Abby with everything. She is her helper and personal body guard. She really wanted her Dora napkin! Thanks to all who came even though it was put off for so long. We really appreciate you! I dont know if you guys remember Abby's best friend Madison but they were seperated this year and are going to different schools now. Try as we did we were unable to get them together over the summer. Last week Madisons Mom brought her over and didnt tell her who's door she was knocking on. We didnt tell Abby Madison was coming either. This is just a short clip of them together but is so so cute. Yesterday was Cowboy day at Abby's school. We got some great pics and a couple of videos. We put her on her little horse and she was having such a great time. If I can figure out how too turn the other video around I will post it soon. I took it sideways for some reason. You can tell how excited she was. I was so bummed that this wasn't a parent allowed event. I would havef loved to see all the other kiddos all dressed up. And yes. My Abby is the sweetest little cowgirl on earth!!!!!!!! Here is video of Abby dancin with her friend Casey ay last weeks Dancinforrett event. Sorry it has been so long since I've updated. We had our Dancinforrett fundraiser and I have been running around like crazy. We had a decent turn out of the usuals and are so thankful. We did have almost 80 people that we expected to be there that didnt show up. If I do this again I hope to do it bigger and better. I only raised about a fifth of my goal but live and learn. We will get to that cure!!!!!!!! Above is a slideshow of the event. Videos in the next few days. Thanks so much to everyone who came and helped. You are so wonderful!!!!! Things they dont tell you about Rett that you have to learn. Girls with Rett Syndrome have so many struggles. 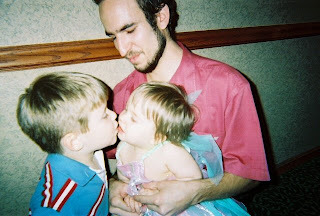 When first diagnosed parents are usually told to take them home and make them comfortable. Don't let this get your down. The genetic scientists are clueless. Sad but true. She is still your daughter and the same baby you had the day before the diagnosis. Do not take her home and give up. Through therapy she can be strong and through persistence and education you can learn to communicate with her. You have to learn to dream new dreams for her and for yourself. It's ok to grieve. This is going to be a long hard road. And she is going to give you more joy and love than you ever thought possible. It's ok to let others help. You have to take breaks or you will be worthless to her. Most important....You have to CHOOSE to be happy. Remind yourself of this in the down times. Just because they can't talk doesn't mean they dont have anything to say. Invest in eye gaze equipment and picture symbol software. You will find that though she may not be able to touch or say the right answer doesn't meant she isn't looking at it. Give her time to answer in her own way. Most thought processes take 30 seconds or more and it is very important that you don't ask her the same question over and over. Our girls have very low muscle tone and low body awareness. Physical therapy is a must. They quite often suffer from vertigo and equilibrium issues. This is why they pause in doorways,at pattern changes in the floor and why the seem unable to step down. A light floor to a dark floor looks like a drop to them. A 6 inch stepdown looks like 3 feet. The process in their bodies that makes melatonin(the natural hormone that makes you tired at night) is not completed in them. Melatonin can be purchased anywhere. Check with your doctor for dosage instructions. The screaming that occurs during regression is due to many factors. Such as Lack of sleep,confusion,frustration and gastro problems. Most suffer from some form of Acid Reflux or extreme stomach pain that can be controlled with medicine and diet. When she stares at you and leans forward and then does it again..consider that because she can hear her thoughts in her head she thinks you can too. Please please order a copy of The Rett Syndrome Handbook by Kathy Hunter....It will be one of the most helpful things you ever do. 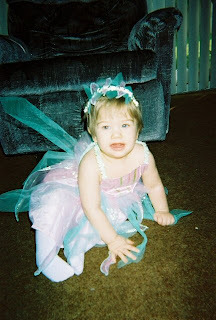 October is Rett Syndrome Awareness month and above is my sweet Rett Angel Abby. Rett Syndrome is caused by a defective gene on the X chromosome which is why is it is effects females the most. This gene is called MECP2 and it is considered the regulatory gene for every other gene in your body. In other words...It turns on and off all nerve function in the body. When this gene is defective it keeps all functions in the body and brain from performing correctly. Girls with Rett Syndrome are typically born healthy and appear normal and achieve all of their milestones until 6-18 months of age when first signs of Rett Syndrome start to appear. Girls start to suddenly lose almost all the skills they have acquired up to this point. They lose most or all of their purposeful hand use. They are unable to speak or sign and have almost no communication skills. In February of 2007, a complete reversal of symptoms in mice just days away from death was published! Researchers at top-notch institutions all around the world are working on treatments and a cure for Rett Syndrome.Their work is not only helping thousands of girls and women worldwide, but their findings have a direct impact on research on Autism, schizophrenia, bipolar disorder, Alzheimer's,Parkinson's and many other disorders. Most money raised for Rett Syndrome is raised by private efforts. We are by and large overlooked for government funding even with a known gene, excellent animal models and PROVEN reversibility. You can help by spreading the word and by donating to the cause. You can honor Abby by donating here during the month of October. You can donate anytime...all year around by clicking here. We got video of her and her Daddy opening gifts from her Grandma in the Czech Republic. I bet everyone wishes they had a five hear old that got this excited over a pillow! That's not all she sent but Abby absolutely loves it! The above is what I posted to facebook and myspace 24 hours ago. I was so excited. In 24 hours 4 other people reposted it. 4 out of hundreds. In the last 24 hours I raised $10.00. Ten dollars from another Rett mom who felt sorry for me. When you have a little girl who is born as normal and healthy as can be and you love and enjoy every little normal thing then sometime out of nowhere and before she is two..everything just goes away. Everything she has learned. Everything you taught her. All your hopes and dreams for someday. Four short months after Abby was diagnosed a complete reversal of symptoms was discovered by Adrian Bird. We were..and still are so hopeful..But it is up to us. Us,our friends and our families to make this happen. Debilitating neurological disorder that predominantly affects females. The leading cause of severe impairment in girls - most cannot speak, walk or use their hands. There are just a handful of disorders that only affect females. Breast cancer is the most prevalent. Rett Syndrome is just as devastating, and affects a potential one in 5,000 girls.Condemned to an entire lifetime of struggles, these girls have been robbed of their ability to speak, walk, crawl, use their hands. They depend on others for every part of their day. Complications include seizures, sudden death in their sleep and scoliosis. Rett Syndrome is CURABLE! Amidst the mass confusion going on within their central nervous systems, they are smart, strong, and waiting patiently for us to unlock the door to their recovery.Researchers at Stanford, Albert Einstein, Emory, Case Western, Harvard, and dozens of other top-notch institutions are sinking their teeth into Rett Syndrome.Why?Not only will their work help thousands of girls and women worldwide, but their findings have a direct impact on research on Autism, schizophrenia, bipolar disorder, Alzheimer's and many other disorders.In essence, our girls may hold the key to a cure for millions of people suffering from dozens of problems.Their cure is a HUGE cure! Today is Abby's 5th Birthday!!!!!!! Because she is so ill we are going to reschedule her birthday party for November...only because she is contagious and needs several weeks to get over it and October is so so busy for us because it is RETT SYNDROME AWARENESS MONTH! Her 1st birthday. Already kissen boys! 4th birthday. Not at all happy about the outfit! 4th birthday party at school. Showing off her adaptive skills!! Feel better soon my love!!! Some of you know that our Abby has gotten the dreaded flu bug. Darn piggies. The first few days she was pretty miserable and we had to go ahead and reschedule her birthday party from Saturday the 26th to November 7th. Only because she could still be contagious for a while and we want to give her plenty of time to recover. I finally got some smiles and movement from her this morning and wanted to share. I know every ones been pretty worried. She has been fever free since last night so hopefully she is on her way to recovery. Did you know that Down Syndrome Awareness Month and Rett Syndrome awareness month are both in October? Above is our little friend Joseph. One of the cutest kids I have ever seen and such a sweet sweet boy. We will be taking part in the 1st annual Step Up For Down Syndrome Walk in October on the 24th in honor of our little man. The following is information about the event. We would love for you to honor Joseph by contributing or joining us for the walk. Click here to view Mr Cutie Pie in Action.